ASTR 104: The Mysterious Planets of Faraway Stars: Can They Support Life? The Mysterious Planets of Faraway Stars: Can They Support Life? Our group chose to investigate the fascinating discovery of planets beyond our solar system and determine what it takes for these planets to be habitable and how those characteristics are determined. Exoplanets can be studied through specifically made data-bases and powerful lenses. These curiosities need to be studied as they can tell us a lot about planets beyond our reach and may become our next home planet if Earth were ever to become no longer habitable. The understanding of our own solar system has come a long way since the days of the early philosophers and even since Newton and Kepler. What still eludes us however, is an understanding of what lies beyond our solar system, how it differs from our own, how it relates to us, and what we can learn about our own history through them. Astronomers have a lot to learn from the universe in general, especially exoplanets. Exoplanets are planets located outside our solar system. These planets are rich reservoirs of the history of the universe and may hold the key to answering one of the oldest questions of all. The origin of life on earth has been a long debated and unsolved mystery that can be understood better by studying the atmosphere of exoplanets in habitable zones. To study the potential for life on these exoplanets, several techniques and technologies must be applied. Some of these techniques include direct imaging using either the doppler method or the transit method and transmission spectroscopy. 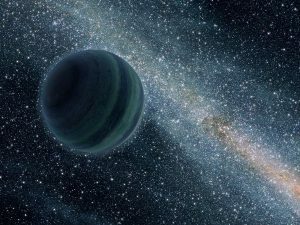 We will discuss some of the background knowledge and history that brought science to study exoplanets, the techniques used to find and assess these objects, and some of the benefits and drawbacks of each technique. This information will lay the foundation for our understanding of researching exoplanets and what it means for an exoplanet to be considered habitable. What makes an exoplanet habitable? One of the major indicators of habitability is oxygen or a non dangerous atmosphere, and there are numerous ways of indicating this. Astronomers have been able to observe exoplanet atmospheres through direct imaging, a process that can be done through the use of large ground-based telescopes containing adaptive optics to reduce blur(1) . The following image is a direct image of Fomalhaut b. Research into advanced technology for the direct imaging of solar-system-like exoplanets as they are currently too dim(2). The surface of the earth needs to have liquid water, the right chemicals and suitable temperatures(3). How do we study exoplanets? While technology is still limited especially when analyzing smaller planets, there have been tools that can analyze elements surrounding these exoplanets. Thy Hypatia database “can measure the abundances of elements in a star spectroscopically–by observing how its light interacts with the elements present within the star’s upper layers”(4) . Other methods include transiting, whereby researchers observe the change in dimness when an exoplanet passes in front of a star, similar to detectable rises in the amount of light picked up by space telescopes during the orbital brightness method(5). Gravitational lensing is a more abstract approach to the discovery of exoplanets whereby the gravity of one planet nearly overlaps another planet providing a magnification of the more distant exoplanet(6). These methods often work best on exoplanets of greater density and mass, however, there are projects in the works for discovering smaller exoplanets within their solar systems. 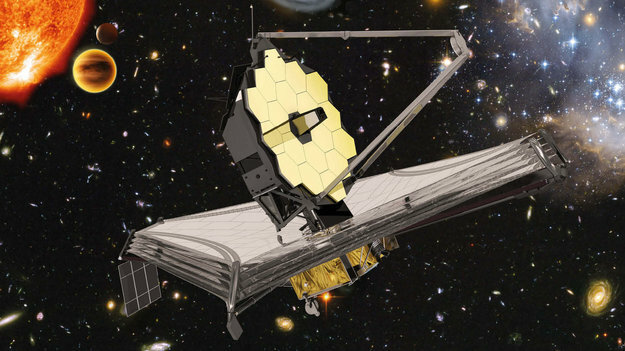 The James Webb Space Telescope will be launched in 2018 and will be able to analyze nearby exoplanets in further detail and discover ones in the distance(7). These findings will provide a greater understanding of our solar system and those beyond ours with the potential for life-sustaining planets like our Earth. The desire for exoplanet studies results from a multitude of observations and discoveries. Observations of rapidly growing human populations which result in increased resource demands, extinctions due to pollution and changes in environments and climates(7), and the belief that the Earth’s sun will eventually burn out have been cause for alarm(8). 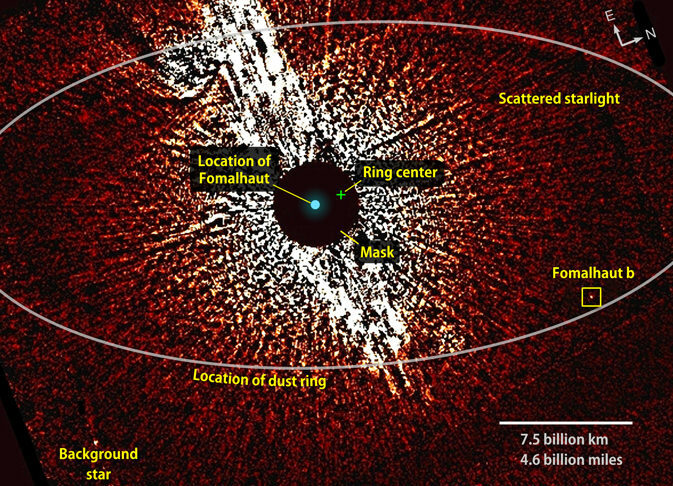 These observations have instilled the desire for a backup planet. The discoveries of the diversities of celestial bodies such as Hot and Super Earths, Diamond and Rogue planets, and Styrofoam and Multistar worlds have also served as fuel for the desire to study exoplanets(9). Another reason for these studies is the desire to discover extraterrestrial life(10). This would provide answers to questions such as whether life always develops the way it has been observed to develop on Earth, that is to say carbon-based, or if there are other forms of development(11). All of these findings as well as future discoveries will give astronomers a more solidified understanding of our solar system as well as those beyond our own. Exoplanets can tell us a lot about the past, the present, and the future of our solar system and solar systems around us. Discoveries such as these expand the possibilities for more discoveries as our technology continues to advance and our minds continue to wonder and search with curiosity and perseverance. (1),(2) S. Seager and D. Deming, Exoplanet Atmospheres, https://www-annualreviews-org.cyber.usask.ca/doi/10.1146/annurev-astro-081309-130837 (Accessed 24 October 2018). (3) P. S. Anderson, What’s the recipe for a habitable exoplanet? https://earthsky.org/space/nasa-nexss-recipe-for-habitable-exoplanets (Accessed 24 October 2018). (4) N. Hinkel, Big Data on Exoplanet Composition, http://go.galegroup.com.cyber.usask.ca/ps/retrieve.do?tabID=T002&resultListType=RESULT_LIST&searchResultsType=SingleTab&searchType=BasicSearchForm&currentPosition=6&docId=GALE%7CA552548090&docType=Article&sort=Relevance&contentSegment=&prodId=EAIM&contentSet=GALE%7CA552548090&searchId=R5&userGroupName=usaskmain&inPS=true (Accessed 25 October 2018). (5),(6) J. Stromberg, LIFE IN THE COSMOS: How Do Astronomers Actually Find Exoplanets? https://www.smithsonianmag.com/science-nature/how-do-astronomers-actually-find-exoplanets-180950105/ (Accessed 25 October 2018). (7) J. Urrutia-Fucugauchi and L. Pérez-Cruz, Inter. Jour. Geo. 2016, 1 (2016). (8) A. P. H AT Z E S, Nature 536, 408 (2016).